I really want a new sewing machine… and a serger. 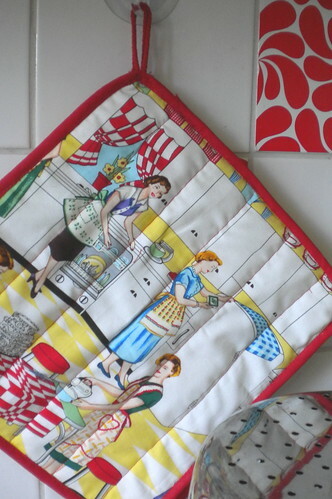 I know, it´s a bit greedy to wish for both a new sewing machine and a serger at the same time, but you see, I´m redecorating my studio/workspace and everything is turning out so lovely, except for the fact that my sewing machine is rubbish. The thing is, I needed a quick fix. And, as I have been contemplating whether I should go “all the way” for self-stiched september and sew my own undies, I tried making a pair. 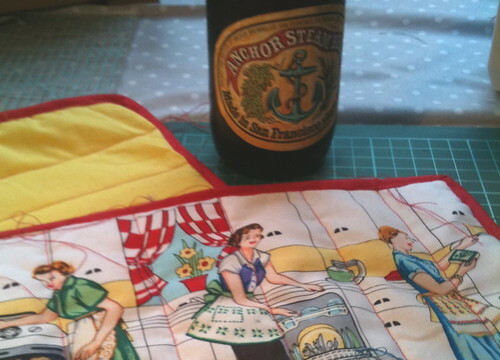 What I didn´t take into consideration was that my sewing machine isn´t nearly as nice a lady as my mothers (the machine I´ve been using all summer), and a small fun project soon became a big hassle. 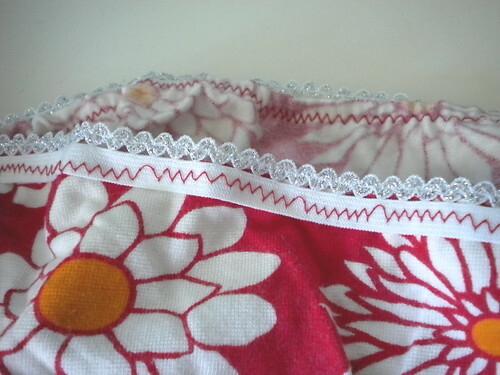 The main problem is that my machine does´nt sew an even zig-zag. And it constantly swallows the thread and then barks it up again, resulting in a million starts and stops. Maybe I´m doing something wrong? Or maybe the machine is rubbish. Yay! to home decor and Yay! to fantastic quilting fabric! I don’t know how much sewing experience you have (so maybe you already know this), but sometimes machines can drop stitches when the needle gets too dull. It can also cause problems with keeping the machine threaded at times.